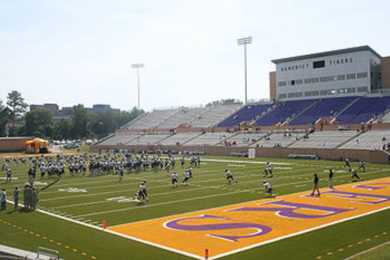 The $12 million stadium has a seating capacity of 10,000 which can be expanded to 15,000. 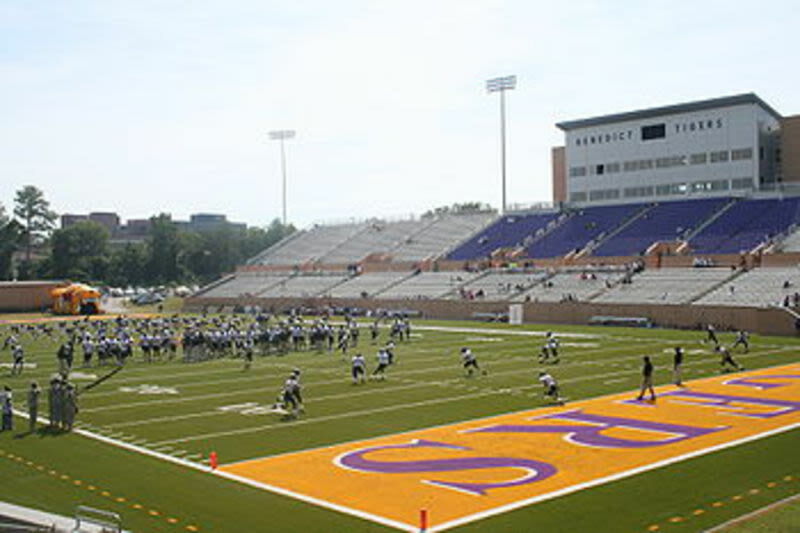 Located on 61-acres, the stadium features modernized accommodations on three levels. The first level is comprised of a ticket office, concession stands, restroom facilities, and stadium services. The second level houses hospitality and presidential suites and the third level contains classrooms and press suites, including rooms for radio broadcasts, officials and coaches.